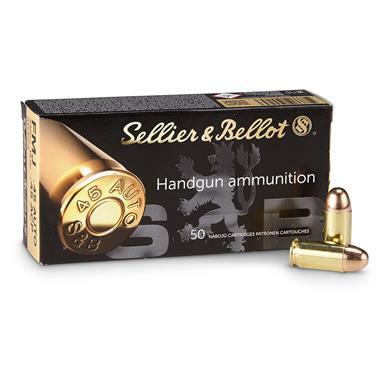 Trust your .45 ACP to the Ammo experts at Sellier & Bellot.® Used by hunters, competitive shooters, law enforcement and militaries around the world, their ammunition is held to exacting tolerances in diameter and weight. 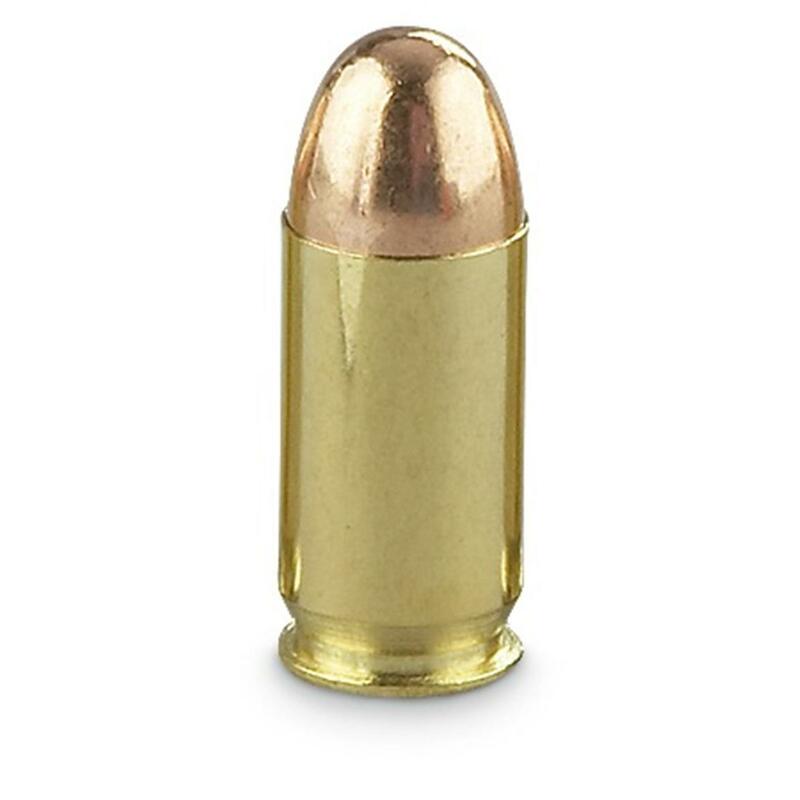 Sellier Bellot, .45 ACP, FMJ, 230 Grain, 250 Rounds is rated 4.9 out of 5 by 126. Rated 5 out of 5 by TeDo from Great ammunition for a very good price SG and I have been doing business for a number of years. Except for one item, belt, I've always enjoyed my purchases. And, the "belt" was a surplus item which they sold to me at a ridiculously low price. After two wears the belt split in half an inch from the buckle. For me it was no big thing! Rated 5 out of 5 by Dasreiten from Excellent price... The price was really good and shopping time was fast. Would purchase again. Rated 5 out of 5 by John27 from Nice Ammo I haven't fired off any of these rounds yet but past experience with Sellier & Bellot tells me it will be great. I like Czech products especially Pilsner Urquell (but never with Sellier & Bellot!). Rated 5 out of 5 by Professor from Great transaction. Lethal penetration for home defense.